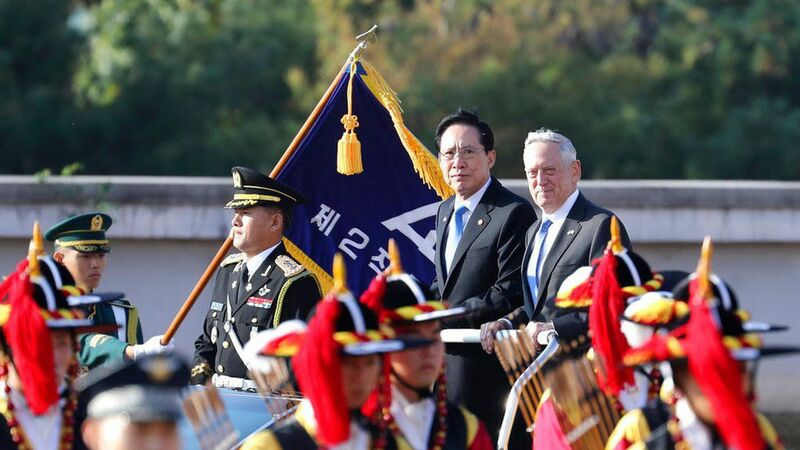 With "South Korean Defense Minister Song Young-moo at his side, ... Mattis said North Korea engages in 'outlaw' behavior and that the U.S. will never accept a nuclear North." Mattis: "North Korea has accelerated the threat that it poses to its neighbors and the world ... I cannot imagine a condition under which the United States would accept North Korea as a nuclear power." More Mattis: "[A]ny use of nuclear weapons by the North will be met with a massive military response that is effective and overwhelming."